As far as breakfast views go, this one was hard to beat. 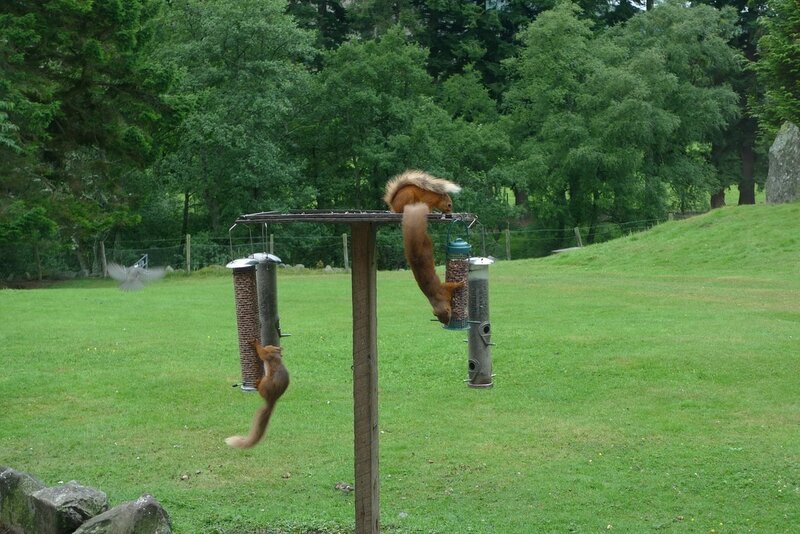 I looked out onto the garden at a bird feeder that had three red squirrels going crazy over seeds and nuts. I was fascinated by them, how they gripped onto the feeders with their hind legs and hung upside down. Their fur looked so fluffy that I wanted to give them a cuddle. The red squirrel is rare and non-existent in most parts of the UK, so having breakfast with three of them was a privilege. I ordered scrambled eggs that were laid by House of Mark's own guinea fowl. Some of these birds also joined in the squirrel feeding frenzy, picking up the nuts that had been dropped on the ground. "They are amazing birds," Ian, the owner of the guest house, told me. "I once watched them protect their eggs from a stoat. The guinea fowl stood in a line, like a military formation. Then they advanced on the stoat. They way they moved, it was like a Roman column, or something. It worked and the stoat ran off." Apart from supplying delicious eggs there are other good reasons to have guinea fowl around. They eat ticks and midges and if a water rat comes out of the water and up the lawn the fowl will chase it away. I would be sorry to leave House of Mark. Last night, after dinner, I had tea in the lounge where there are soft leather armchairs and a roaring fireplace. I chatted with Ian, his wife and the two other guests until late. In my bedroom I loved the dark wood floor, the minimal furnishings and the original wooden door that had a satisfying turn of the handle. My bed had crisp white sheets and a thick duvet. Sleep came easy and I awoke feeling refreshed and excited about exploring the glen. Ian talked about the spectacular walking in the glen and his enthusiasm for the Queen's Well walk persuaded me to give it a go. He was right. 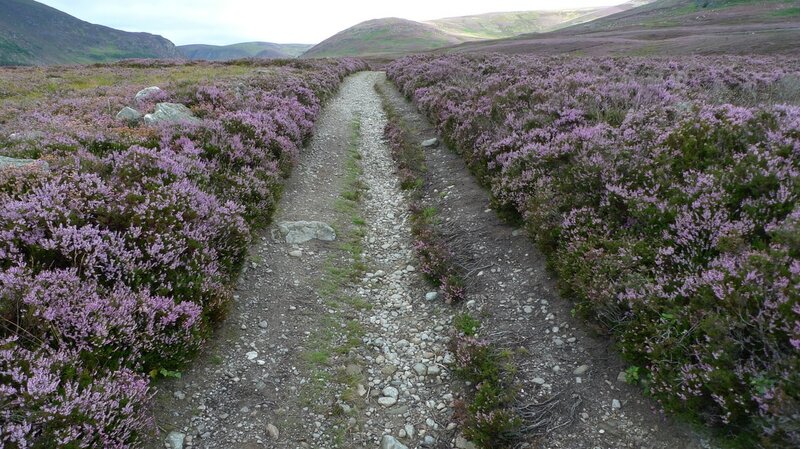 This was perfection with a path winding through purple heather with hills in every direction. On one of those hills there was a shaft of morning sun that made it glow. I had this place all to myself, apart from a few sheep, and I thought how wonderful it must be to live here and have this walk as part of your morning routine. The monument was built by local people to commemorate a visit by Queen Victoria when she drank from the well. Ian had said to me, "it is the strangest thing to see this crown shaped object out in the middle of nowhwere." It certainly is unusual to find this object in such an untouched landscape, reached only by walking for over one-hour to get there and back. It seemed that it should be on the lawn of some stately home instead of out here. Another surprise of Glen Esk is that it has three churches. For such a remote area with a low population it is quite amazing to find substantial buildings, like Maul Memorial Church, with its tower, stained glass and high ceiling. A place like this would be a normal sight in a sizeable village or town, but out here it seems a little out of the ordinary. All of the churches had their doors open so I was able to go inside and have a good look. 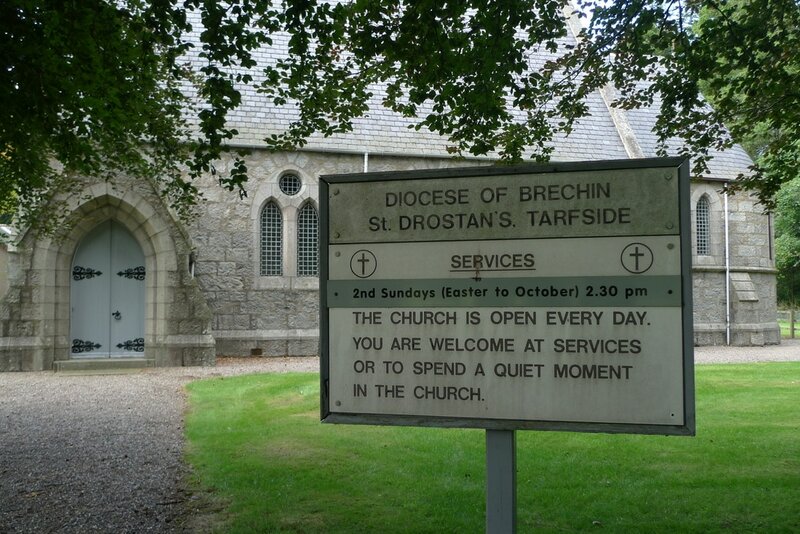 Although Maul and St Drostan's churches are the most impressive in terms of size and architecture it was the smallest one, Lochlee, that I was most taken by. Lochlee is located near the head of the glen and the gate into the churchyard has an iron pin on a chain that secures it shut. There is an unusual gravestone, shaped like an anvil, that was created for the village blacksmith who had lived to the age of 90. Inside the church there is a dark wood interior. It has an upper gallery, despite its small size, and on the front of this there is an antique clock. In suitably historic typeface the clock face has the words 'James Christie, Brechin,' a long gone local clock maker. When I spot items like this it makes me feel more connected with the history of a building and conjures vivid images of many people through the years entering this church for a moment of tranquil reflection. When I left Glen Esk I cycled towards something that intrigued me on the map- the Brown and White Caterthuns. These were hillforts built over 2000 years ago. It was tough, uphill cycling to reach them. It was relentless, but the road was taking me to breathtaking views of mountains and agricultural land displaying a rainbow of colours. Nothing much remains of the Caterthuns and to get to them there is a steep uphill walk. 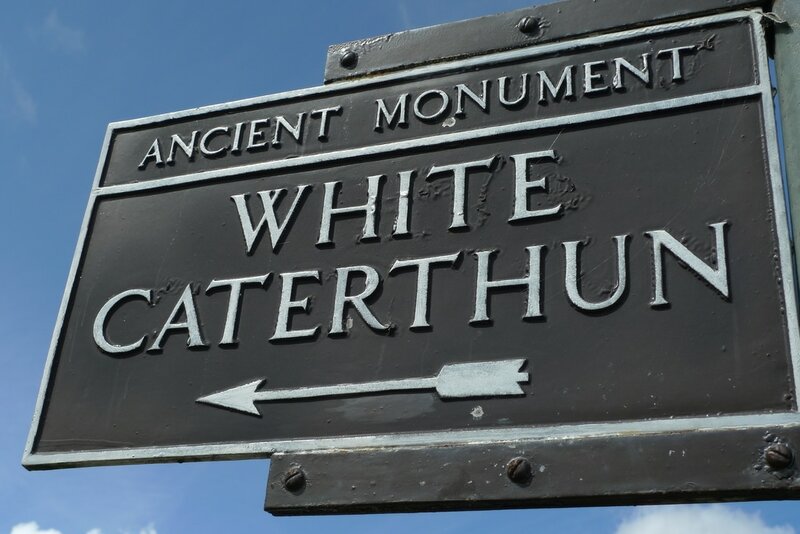 The White Caterthun was covered in purple heather and has a raised line of boulders where the ramparts once were. It is a huge area and must have been home to many people. It is difficult to imagine what it was like in its heyday, but one thing is clear- this was an amazing vantage point with stunning views in all directions. 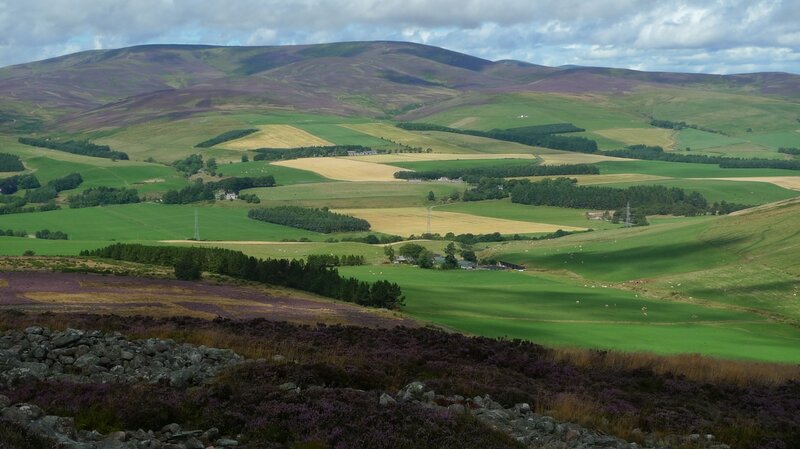 There were different coloured parcels of fields that rolled like a choppy sea towards hills splashed like an artist's canvas with purples, greens and browns. After my visit to the Caterthuns I was in for a treat with steep downhill cycling that induced laughter and smiles. I headed towards the cafe at Brechin Castle Garden Centre. I was in desperate need of something to restore my energy levels and I pounced on the malteser cheesecake, which was sweet and chocolatey perfection. I was fuelled up for the final stretch back to Montrose using minor roads and cycling across one of the most unique bridges I have come across in Scotland. The Bridge of Dun, built in the 1780s,spans the River South Esk and is adorned with flourishes of classical architecture. I almost missed this because on the bridge there is no hint of these features and I was in a rush and fully intended to keep going. Some random flash of instinct made me stop, get off my bike and walk down to the river to take a closer look. I could not believe that this was hidden from view and thought there should be a sign saying 'get out and have a look at this!' There are Italianate columns that hold up the pedestrian refuges that give the bridge a stately appearance that seems more appropriate for a major city. It is fascinating that such effort was put into something in a very minor and rural place and it is essentially hidden unless you walk down to the river bank. This is definitely one of Scotland's undiscovered delights. I made a very brief stop at the Montrose Basin visitor centre. This is the place to come to find out about, and watch, the incredible bird life that gathers in this estuary. They have telescopes and live video footage of the birds, but I was running short on time and had to dash for my train. Speaking of trains the cycle route gave me an opportunity to get a good look at the red brick 17-arch Montrose railway viaduct. I was able to go right down to the shore where there is a small gathering of little boats. From here there is a close up view of yet another magnificent historic structure that Scotland's rail network is blessed with. When I was on the train yesterday I was totally unaware that we crossed over such an incredible piece of engineering. It was yet another hidden delight and this is what this trip to Glen Esk had all been about- discovering the different and the spectacular. 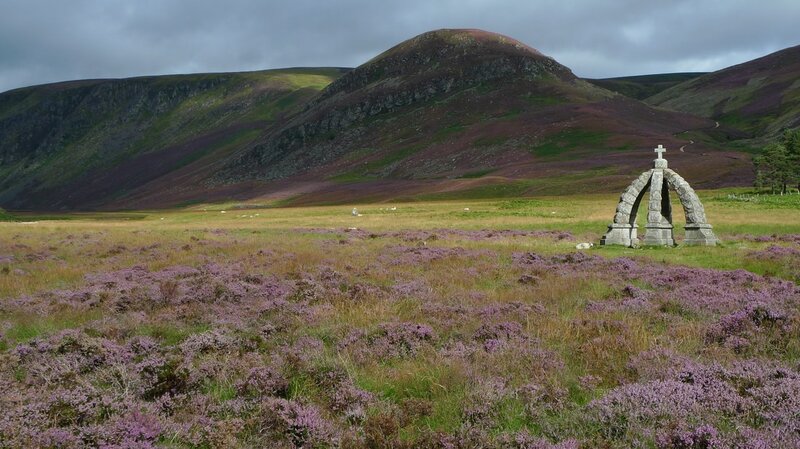 This is part two of a travel feature and you will find full details about how to get to Glen Esk in part one of the feature. This route is about 38 miles. The roads are mainly minor and have low volumes of traffic. If you go to Brechin Castle Garden Centre you must use the A935, but I found this to have relatively light volumes of traffic and it was fine for the short distance that I was on it. There are very steep hills on the roads to the Caterthuns. This route uses the Montrose Basin Cycle Route. Read more about this in my blog. There are many excellent walks in Glenesk. Try this website for details. Brechin Castle Garden Centre has a cafe with views of a lake, home baking and meals.